These 7 oz. cotton-polyester pants feature an elastic waist with drawstring for a secure fit, plus a gusseted crotch and ribbed elastic ankles. Check out the "Learn More" link below for additional information.Imported .. Designed to meet the expectations of any martial artist, this 7.25 oz. cotton-polyester top features rollback cuffs, frog buttons, a mandarin collar, and side vents for breathability. Check out the "Learn More" link below for additional information.Imported .. 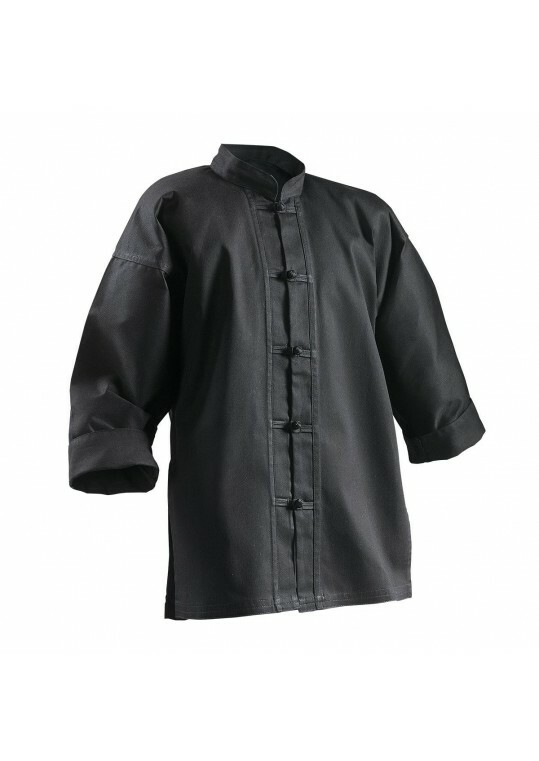 Traditional style in black 100% silk, with loop and hoop frog buttons and closed sleeves. 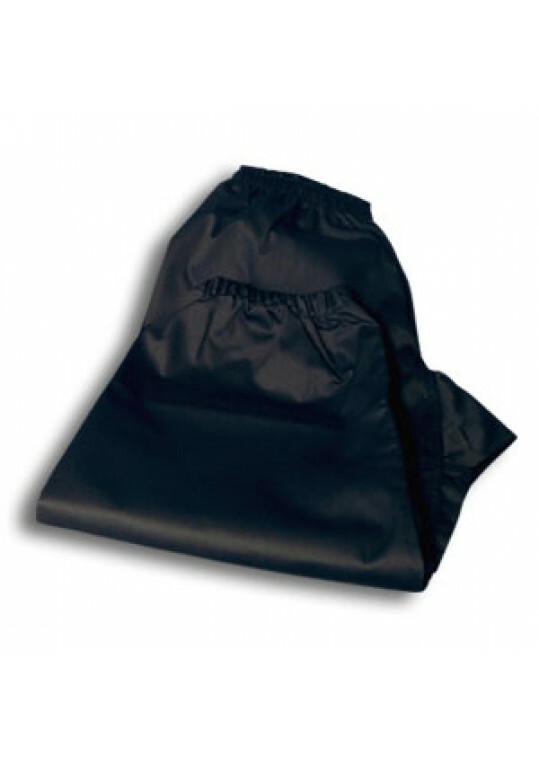 Pants have an elastic waistband and drawstring as well as elastic at the ankles. Sold in sets only. Dry Clean Only. 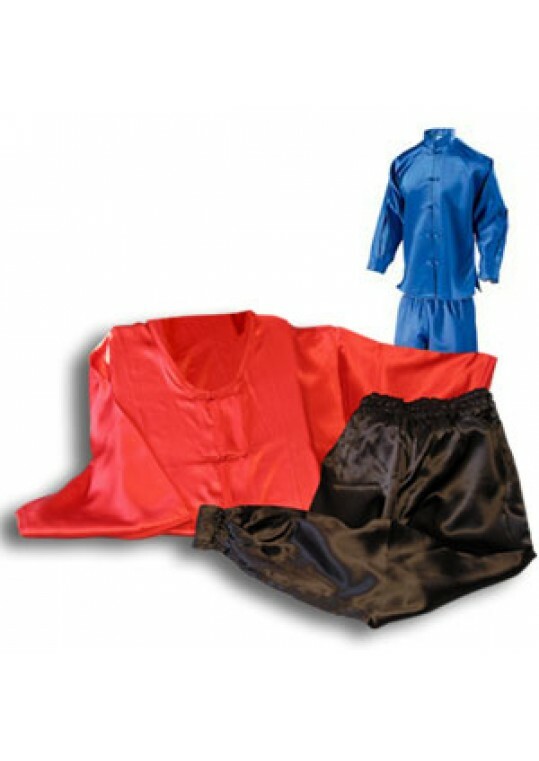 For proper fit, please refer to the size chart link below.Silk Kung Fu UniformSizeWeightHeight..